The Orphanage is home to deeply traumatized, often injured, suffering from shock and grief having lost their mother and family- orphaned animals from all over Kenya. The orphanage is not big - in fact, it is rather small, but this helps make it very intimate and easy to wander around. What adds to its charm and sense of personalization is that every enclosure has a notice describing the animals which allows you to relate to them. The Orphanage educates the public about wildlife and environmental conservation in Kenya. One can read the life history of each animal - whether it was rescued or born in captivity. Between 2.00 pm to 3.00 pm is a good time to see the animals as they are fed. The animals here include cheetahs, Lions, Leopards and Hyenas among others. You can also work or get a placement at the orphanage. This revolves round intimate animal conservation. Here volunteer(s) get to lock eyes with the African cats, feed them and strike a rapport with them on a name basis. This placement is popular even amongst the Kenyan youths and students; hence one must book at least 3 months in advance to be able to secure a chance. A great opportunity to get close and learn about Africa's fantastic wildlife. It is best taken for a period not exceeding a month. 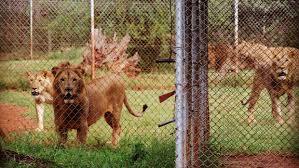 Nairobi Animal Orphanage is about 20 minutes drive from Nairobis city centre. Located only about 7 kilometers from the city centre, animal orphanage is easily accessible on tarmac roads, off Langata Road, Kenya Wildlife Service Headquarters. The orphanage is a wider part of the Nairobi National Park  the first to be established in East Africa on the 16th of December 1946. The park makes Nairobi a special capital as it is the only city in world where wild animals live naturally in the wild transforming Nairobi into Africas prime safari capital. Nairobi Animal Orphanage, which was established in 1964, as a refuge for wild animals found abandoned, orphaned or injured throughout Kenya. The aims of the orphanage were to release the animals into the wild whenever possible, provide conservation education to Kenyans and visitors from all over the world. Over the years, exotic animals' species not necessarily falling in the categories mentioned above have found their way into the animal orphanage. Problem animals have also been restrained here. 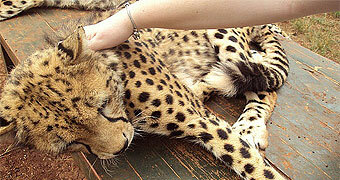 * Animal orphanage tour can be combined with the tour of the Nairobi Safari Walk located 10 meters away.